On June 21, at the ripe old age of 21, Jordan Spieth become just the sixth golfer in history to win both The Masters and The US Open in the same year, joining some pretty illustrious company such as Woods, Nicklaus, Palmer and Hogan. He must have played only golf growing up to become this good, this fast, right? Think again. This article first appeared on the Titleist Performance Institute’s blog and is reprinted with permission. Jordan Spieth is an immense talent. To succeed on the PGA TOUR at such a young age, you have to have a certain measure of natural ability. Add a relentless drive, level head and physical prowess, and you’ve got a chance to play golf at a very high level. But there is more to Jordan’s success than the work he has done as a golfer. In many ways, the work he did as a quarterback, pitcher and point guard laid the foundation for a successful career. This multi-sport development is the embodiment of the model that we preach at TPI. Develop the athlete first, then the golfer. It won’t guarantee success on TOUR, but it will help your child maximize their physical potential and overall enjoyment of the game. Jordan discovered golf at a young age and immediately fell in love with it. By the time he was 12 he was asking his parents if golf could be his only sport. 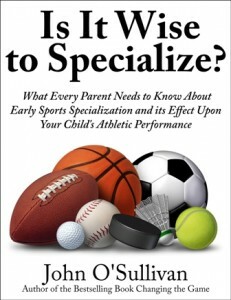 Though they knew their son loved golf (and showed promise), Jordan’s parents didn’t want their kids to specialize in one sport at a young age. 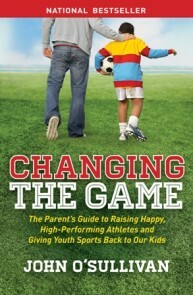 “We did not raise our kids to be one-sport athletes. You have to let them explore options… You have to make sure they know that life is more than one sport, or one goal.” said Jordan’s mother, Chris Spieth, in a terrific interview with Purpose2Play.com. As a young athlete, Jordan excelled as a quarterback and pitcher, while trying to keep up with his younger brother, Steven, on the basketball court (Steven would eventually play Division I basketball at Brown University). “He hung up his golf clubs during football and baseball season—he was a quarterback and a pitcher—two pretty big roles. Then, he’d pick up golf again when summer rolled around,” Chris says. Throwing a baseball or football is a tremendous movement prep for golf as it teaches the athlete to generate power from ground force reaction and transfer that power to their arms. Just as in golf, the kinematic sequence must be fluid to maximize efficiency. Learning the coordination and athleticism to do that in baseball can translate to golf, as it did for REMAX Long Drive champ and former NCAA pitcher Tim Burke. Additionally, as a left-handed thrower, Jordan turned his body the opposite way of his golf swing, giving him a tremendous (albeit, counterintuitive) advantage over young competitors. By turning his body the opposite direction Jordan was able to balance strength and flexibilty in his body, helping to avoid overuse injuries. Several years ago, Dr. Greg Rose and Dr. Tom House coined a theory called the Big Break Theory. The Big Break Theory postulates that your body can only accelerate to the point where it knows it can safely decelerate. Therefore, if you train your body to move in both directions, you’ll improve your body’s ability to decelerate and increase your potential for speed. A mistake that many young athletes make is that they only train in the direction that they’ll move in their sport. This creates a legitimately dangerous imbalance, but also limits their potential. All of the speed training that we do is done in both directions. Golf is littered with athletes who turn the opposite way. He’s not the only prominent golfer who turns the opposite way when throwing, either. There are a number of things that contributed to Spieth’s success as a golf, but it wasn’t just MORE golf. 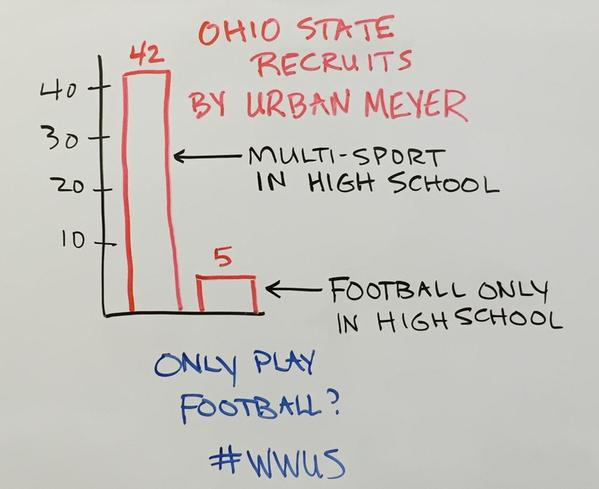 It’s true in virtually every other sport too (with the exception of early specialization sports like gymnastics). 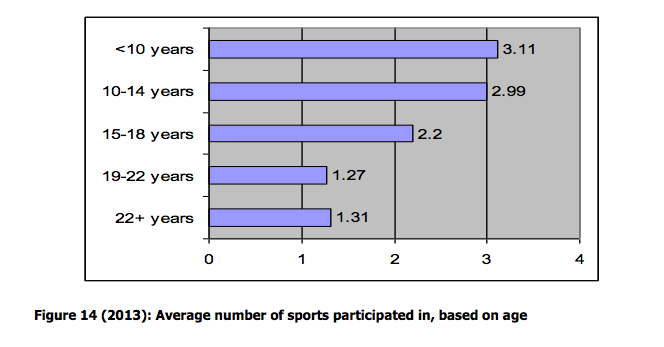 In 2014, the USOC completed a comprehensive survey of their Olympians and found that, on average, Olympians played three sports per year from 10 – 14 and over two sports per year from 15 – 18. The same is true in football, too. We aren’t trying to discourage your kids from playing golf, but we do want to encourage your kids to PLAY. Look at the leaders in driving distance on the PGA Tour. Nearly EVERY one of them had a deep background in another sport. Your kid can’t win the Masters at 13, but they can become burnt out at 13. Jordan is special, but he is also lucky. Lucky to have parents who saw a bigger picture and lucky to have a TPI Certified team who recognized that playing multiple sports would enhance his long-term athletic development. Please share your thoughts below. 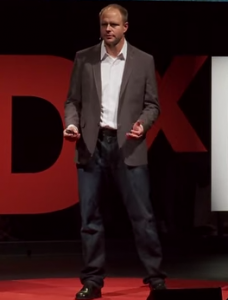 Should kids participate in multiple sports? Does their chosen sport matter? Let’s get a good discussion going below.